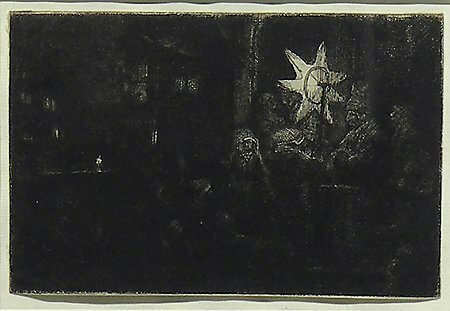 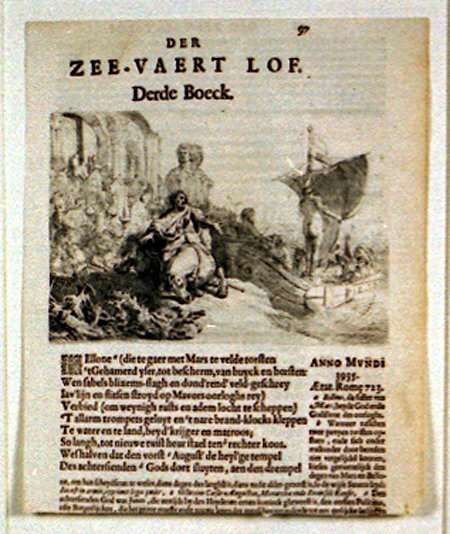 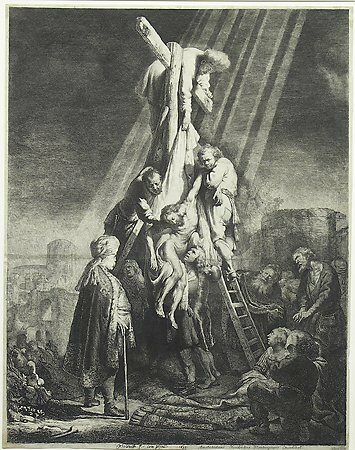 The first Rembrandt print to enter the UAMA collections was Christ Seated Disputing with the Doctors, given to the museum by C. Leonard Pfeiffer in 1946. 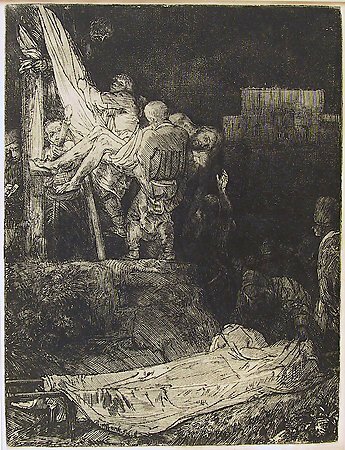 The most recent addition is Abraham’s Sacrifice, purchased in 2005 with funds from the Edward J. Gallagher, Jr. Memorial Fund. 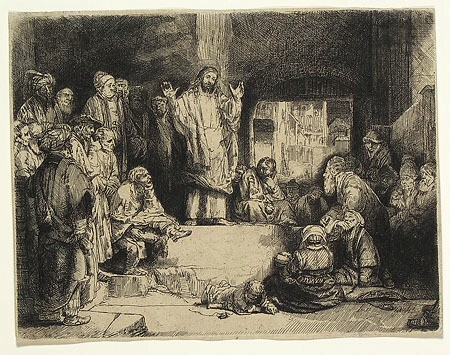 The etchings in the UAMA collections demonstrate the range of the artist’s style and technique–from the sketch-like, almost purely linear construction of Christ Seated Disputing with the Doctors, to the intense tonality and use of chiaroscuro in Descent from the Cross by Torchlight. 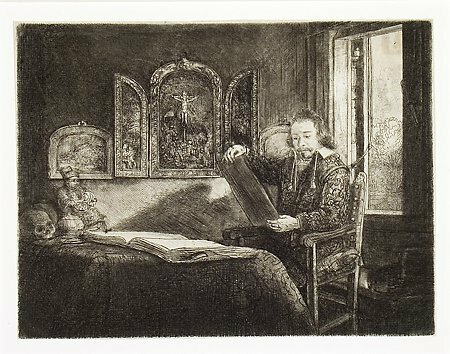 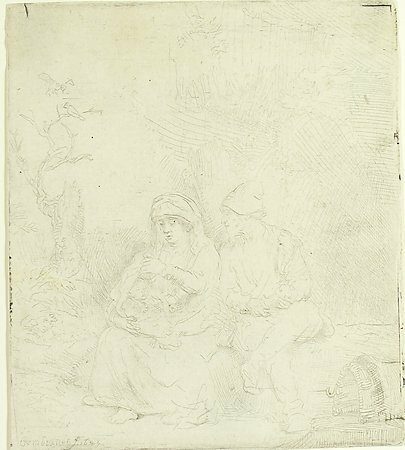 Untrained as a printmaker, Rembrandt treated the etching needle like a paintbrush, thereby expanding the expressive and aesthetic possibilities of the medium. 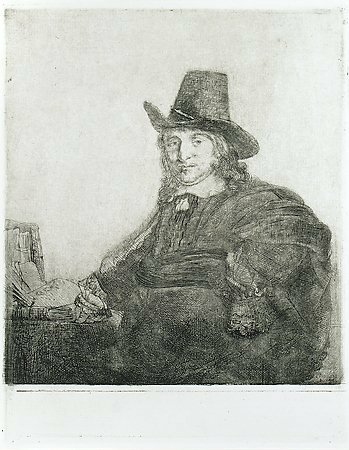 Born in Leiden in 1606, Rembrandt van Rijn (1606-1669) studied in Leiden and Amsterdam before setting up his own studio. 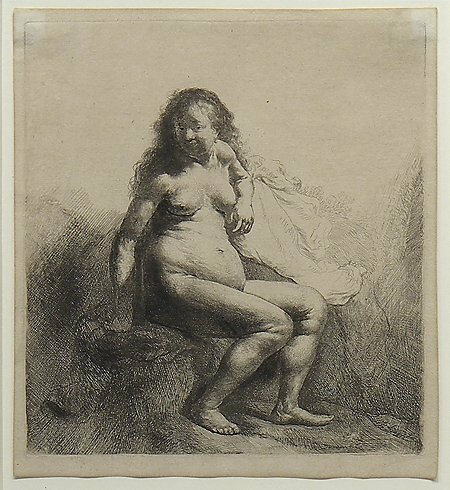 In 1632, after moving permanently to Amsterdam, the artist began signing his works with his first name alone, boldly imitating the great Italian artists Leonardo, Michelangelo and Titian. 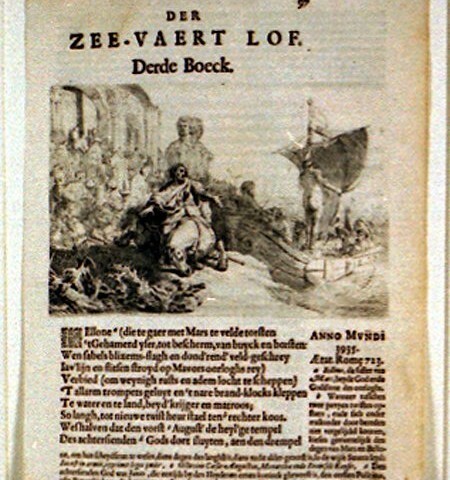 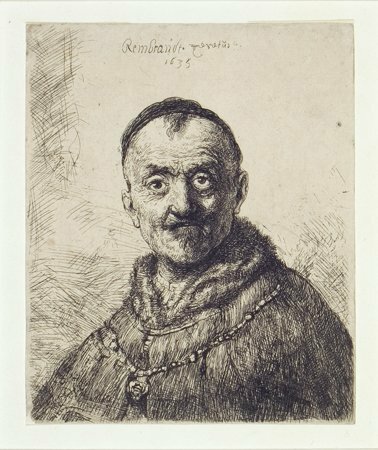 Rembrandt enjoyed fame throughout Europe during his lifetime for his mastery in painting, etching and drawing, and for his innovative treatment of a wide range of subjects–including biblical and secular history, mythology, landscapes, portraits, nudes, still lifes, allegories, and genre scenes. 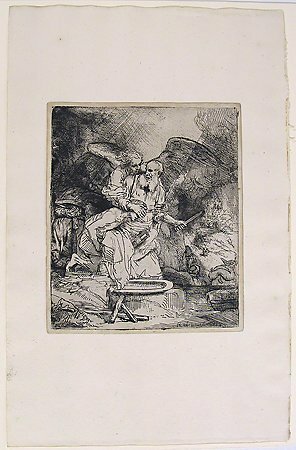 The artist’s etchings established his renown in large part, and many scholars assert that his skill in the medium has never been surpassed. 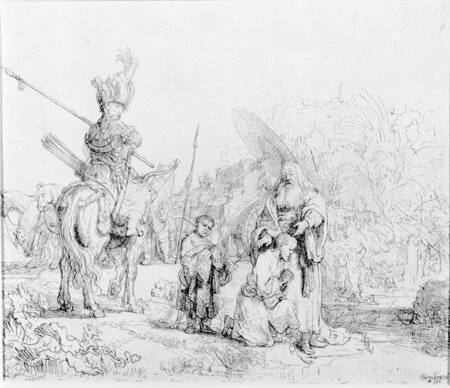 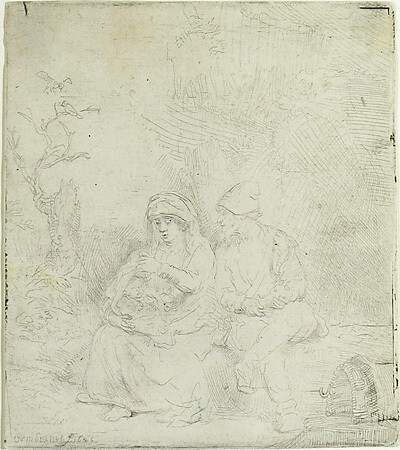 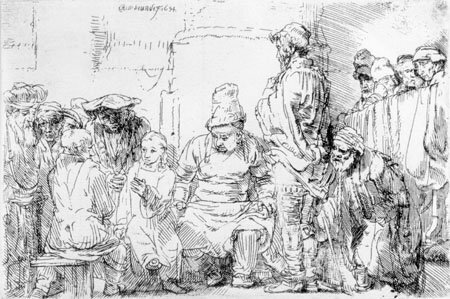 Rembrandt’s first known etching dates to 1628; he completed nearly 300 etchings during his lifetime.